WOW. Yes, even us jewellers get jealous of the lucky ladies who receive amazing diamonds! Lucky Kim Kardashian has been given ANOTHER stunner of a ring by Kanye West. This ‘little’ bauble is a 20-carat emerald cut centre diamond from Lorraine Schwartz. We wonder what her next one will be like….! Passion Jewellers have finally got themselves on YouTube – come and subscribe so that you don’t miss anything! 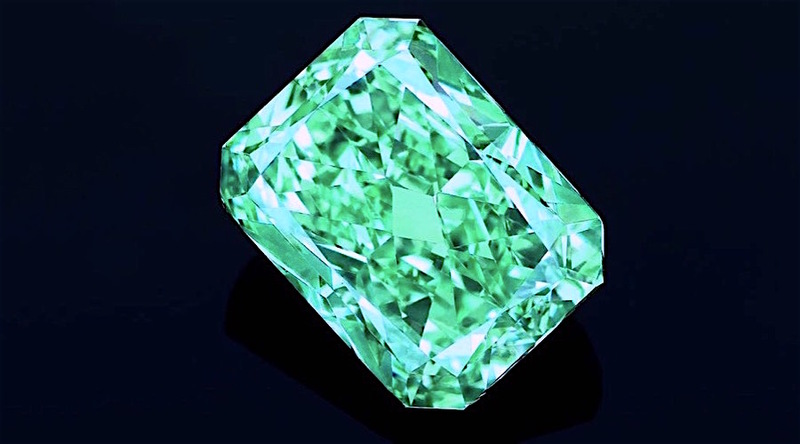 A 5.03-carat fancy vivid green diamond known as “Aurora Green” has set two world auction records for a stone of that colour Tuesday at Christie’s Hong Kong Magnificent Jewels sale, fetching over US$16.8 million. 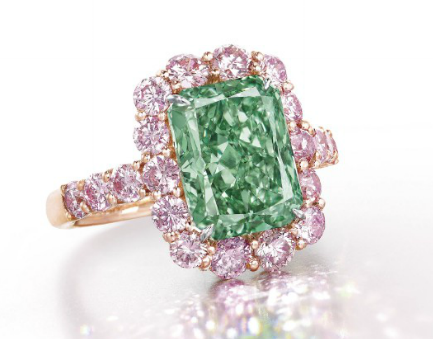 Now this is one stunning diamond that would make anyone green with envy! I don’t know about you but I was knocked out of my socks with the gorgeous 35 carat diamond engagement ring that Mariah Carey was given my James Packer. She certainly is a Diamond Diva – lucky her! Welcome to Bling It Up Dubai! Welcome to the new Passion Jewellers blog, Bling It Up Dubai! We will share latest jewellery, news, competitions, celebrity bling – all things glamorous! If you have purchased from us, why not send in your pictures to Leanne@passionjewellers.com and we will share them on here. Must dash, got some diamonds to count!